Yahoo chief operating officer Henrique de Castro, the high profile capture that CEO Marissa Mayer poached from Google shortly after she took the helm at the company, will leave after a year on the job. 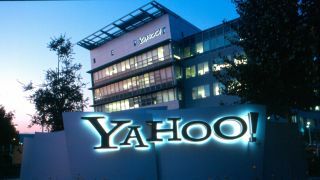 Yahoo did not give a reason for his departure but in a memo to Yahoo staff – obtained by the Recode technology blog – Mayer said that she had fired him. "During my own reflection, I made the difficult decision that our COO, Henrique de Castro, should leave the company," Mayer wrote in the memo. When de Castro was hired, Yahoo were trying t build a new management team to try to revive the ailing sales and traffic that Yahoo was getting. His internet advertising expertise was cited as a key asset to Yahoo. The Lisbon-born exec was richly rewarded with a compensation package totalling $58 million (£35 million, AU$65 million) and was one of the most highly-paid executives in Silicon Valley. The fact that Mayer managed to lure an executive from Google was viewed at the time as a sign that the new CEO had re-inspired confidence in the company. Yahoo's growth has continued to wane, however. Revenue has decline between five per cent and seven per cent year-over-year for the Sunnyvale, California company. De Castro could not immediately be reached for comment. Yahoo shares fell 0.6 per cent in extended trading on Wednesday. Yahoo is one of the world's most-visited online properties, but revenue has declined in recent years amid competition from Google and Facebook. Mayer has built a senior leadership team and is now in the midst of engineering a turnaround at the once-dominant Web icon.